Exactly the way we train our bodies to endure and overcome physical pain, we must train our minds to tolerate and prevail negativity. What we consistently think and allow into our minds create the reality we live in. If you repeatedly allow other people’s negative view of the world to influence you, you’ll eventually see the world in the negative light. Life is a lot more productive and pleasant when you have an optimistic view, as heard from Elon Musk, “I’d rather be optimistic and wrong than pessimistic and right.”. Optimism promotes hope and motivation for us to pursue our dreams and goals, compared to pessimism encourages laziness and unambitious thinking. We must of course balance this type of optimistic thinking with a realistic outlook, otherwise you’ll lose grasp of reality. But don’t allow too much negativity to creep into your mind and weigh you down, for life can be a lot more enjoyable if you control what influences you. Tae Kwon Do has taught me multiple kicks, punches, forms, techniques and sparring methods. Sometimes we get to spare against each other, meaning we can use all the kicks and punches and blocks, to defend ourselfs. The forms, and techniques include a varity of kicks, punches and blocks. Anthony Hong Tae Kwon Do is a great place to learn martial arts! Zach has been working with Master Hong for 6+ years. It has been one of the best decisions we’ve made in terms of developing Zach’s mental and physical discipline. 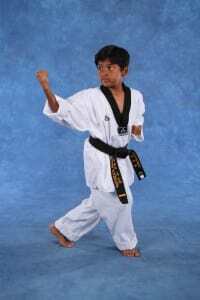 He’s a much more confident kid now and much of that has to do with his experience here at A. H. Tae Kwon DO. My wife and I are very thankful we walked in here 6+ years ago. Master Hong has been a great teacher, mentor and friend to Zach and we’re grateful for that type of role model.